It about that time to start revving your engines. 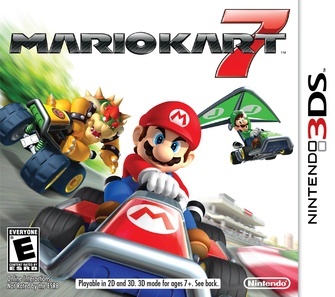 Mario Kart 7 is Nintendo’s new iteration to the Mario Kart series. 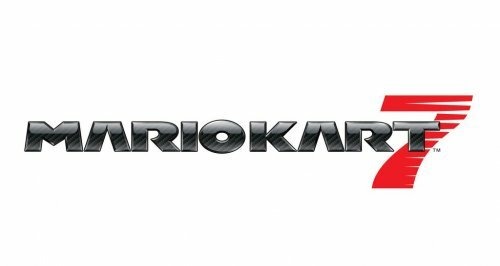 Developed by Nintendo EAD and, (Entertainment Analysis and Development) Retro Studios, (Texas based development company that developed the Metroid Prime series) Mario Kart 7 will be the first kart racing game on the 3DS. Different from the other games, Mario Kart 7 will feature new kart attachments that will allow you to glide through the air and drive underwater. The gameplay mechanic for the most part is unchanged from the previous Mario Kart games. They make it so you can customize your kart, and choose different tires that will react to different terrains. You can now play in a first-person mode that will utilize the Nintendo 3DS’s gyroscope. Online is back with up to 8 players, Nintendo said that the game will also use the 3DS’s StreetPass functionality. Mario Kart games are genuinely racing games that are fun to play with friends and, strangers. This game will be no different. With online capabilities and new kart attachments, Mario Kart 7 is destined to be just as competitive and, addicting as the previous games. Amazing trailer of this game. I have got trailer from my colleague. Even i have also ordered this game from else web. but i till not get it on my hand. So i think that i have to visit nearest store personally and buy this game as soon. Must Have DVDs & Blu-Rays this Holiday Season!!! Hot Electronics "This holiday Season"
Must Have Games This holiday Season!! !